Through numerous amounts of research into my music video’s genre of Indie Rock I have noted a number of codes and conventions throughout the genre, followed by most bands however like anything they are on occasion also subverted which is to be expected. For example in cinematography I have found it common that the shots used often feature the band with empathises on the lead singer. You can denote this in the picture below of the Arctic Monkeys performing ‘I bet you look good on the dance floor’. They used a close up on the lead singer (Alex Turner) connoting his dominance while we can just about see the drummer over his shoulder. 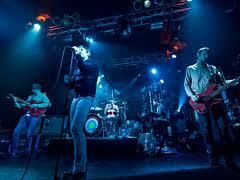 Focussing on the lead singer is also a common trait I have noticed while watching and analyzing indie rock bands. Another convention of Indie Rock music video’s is that bands often make performance video’s however it is not unheard of for an conceptual video to be made, a good example of this is another Arctic monkey’s song titled ‘fluorescent adolescent’. While the music video is conceptual at parts the song lyrics are amplified through the on screen actions for example the song is about the past and during the video it cuts back to two old friends and how they used to be. Indie Rock videos also tend to stick to basic but effective shot types as they are mostly used so the audience can denote the band instead of other music video’s with narratives that try to evoke emotion from the spectators. The shot types used across the Indie Rock genre consists of mainly close ups, mid shots, wide angle shots and panning shots moving across the band. Throughout this research I have also noticed some codes and conventions within the editing of Indie Rock music videos. Indie Rock songs often have a change of pace during the tracks which enable a mixture of fast and slow pace editing to match the tracks tempo, this helps to keep the audience interested in the video and offers play-back ability as the audience may not notice everything the first time round. Another trait of editing within the Indie Rock genre videos is that the camera happens to cut between shots frequently keeping the audience entertained. The mise en scene conventions of Indie Rock are probably the least challenged as this micro aspect offers the look and identity of the band. For example Indie Rock bands are known for casual clothing with limited costume changes during their videos normally numbering zero. Another convention of Indie Rock videos is the use of low key lighting creating shadows. This creates a sense of enigma for the audience and also connotes them being isolated from other music genre’s it also connotes them as being different from your typical boy band. 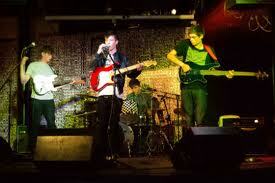 This is also a convention of Indie Rock music to stand out and be different from other mainstream genres. Props also play an important role in Indie Rock videos as the band member are commonly seen playing their instruments while and not to do so would subvert the audience expectations. A reason why Indie Rock bands like to be seen playing their instruments is because is connotes them as being real musicians instead of industry made stars who offer none to limited musical talent. While it is common for these videos to offer a number of locations, conventionally the bands are only seen performing in one location however this changes depending on the actually video. They are also typically made on low budgets which links back to the idea of them being independent (“indie”) and different from the big labels however since the 00’s a number of bands have crossed over to the majors with the increase in internet helping their exposure, the first most notably band to do this was the Arctic Monkeys.